Just in time for the Renaissance Society of America's 2017 conference in Chicago (where our Editorial Director Dr Caroline Edwards will be discussing open access publishing on a digital humanities panel), we're delighted to be able to launch the next poster in our OLH Poster Series – The Shakespeare Poster. Designed by acclaimed publishing graphic designer, Becky Chilcott, the series celebrates the diversity of humanities scholarship being published with the Open Library of Humanities. 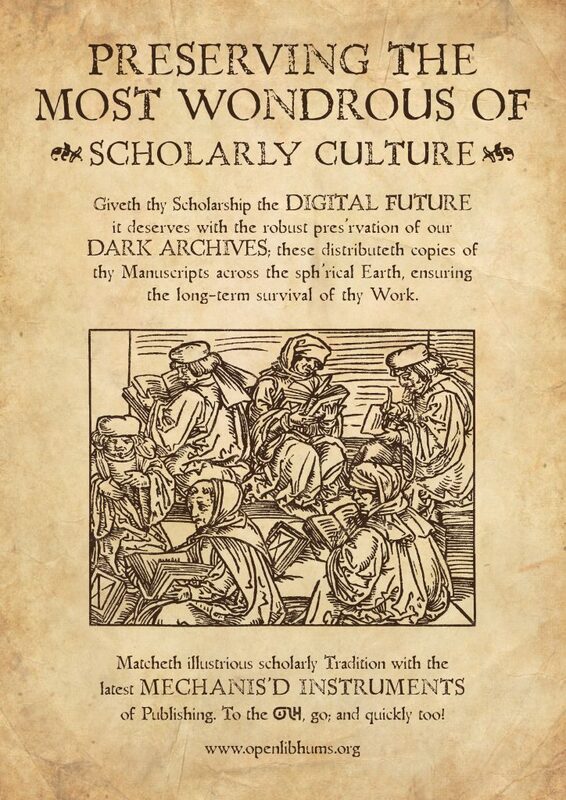 Each poster is dedicated to a different historical period and style which pays tribute to the range of humanities scholarship that the OLH publishes in its journals. We're proud to be supporting Renaissance Studies scholarship at the OLH and have recently launched Marvell Studies, the official journal of the Andrew Marvell Society. We would like to send the Shakespeare Poster out into the world – and we warmly encourage you to download, share, print off, and put up this poster wherever you feel it might be appropriate! To access the web and print files of the poster, please click below.